Muscle aches, also called myalgia, sounds pretty familiar to many people. Muscle pain is usually associated with stress, muscle tension, muscle overuse during physical activities. If you have myalgia, it can be hard for you to perform routine activities. However, there are many natural remedies you can try at home to relieve muscle aches easily. Ginger is one of the most powerful anti-inflammatory drugs that nature presents to us. You can add ginger to your diet to beat muscle ache. To use ginger for muscle aches, grate some fresh ginger root and cook it. Add some honey and lemon juice in mixture. This mixture will help to reduce their pain. Coconut oil can help to reduce inflammation of the muscles. If you have some Virgin Coconut Oil, all you need to do is enter the painful area of massage. You can add some other oils like lavender essential oil. Arnica oil is perfect remedy for many common muscle ailments. Use some arnica flowers and mix with olive oil. Olive oil must cover the flowers. bottle the mixture. Put it in a place with sunlight. After one week you can open the bottle and use the mixture as massage oil for relief. With Cayenne is also helpful for muscle aches. You can make your own cream at home. Mix half a teaspoon of Cayenne paper and a cup of olive oil. You can mix Aloe Vera Gel instead of olive oil. Apply the mixture to the affected area. Keep it away from your eyes, nose and mouth. Tart Cherry has rich anti-oxidants and anti-inflammatory contents. Consuming tart cherries also help maintain melatonin levels in your body. Therefore, it helps you to sleep well, recover faster and reduce sore muscles. You can consume cherries as fruit or you can drink cherry juice cake. Remember, Tart Cherry Juice is high in sugar. Hypothyroidism refers to a condition where there is an underproduction of thyroid hormones that is linked to depression, fatigue, weight gain, insomnia, memory loss, dry skin, brittle and dry hair, thickened tongue, constipation, and light or no menses. 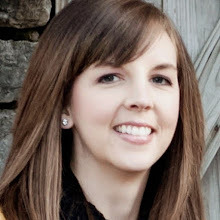 As you may know, one of the causes of hypothyroidism is iodine deficiency. Iodine is an essential trace mineral and a very important ingredient in the thyroid hormones: thyroxine and triodothyronine. Did you know that approximately 80% of the iodine found in the body is located in the thyroid? By influencing the thyroid's activities, iodine plays a vital role in basic metabolism and bodily processes. For instance, it helps regulate body temperature and maintain energy levels. It also plays a key role in blood cell production, muscle and nerve function and, helps keep your hair, skin, teeth and nails strong and healthy. It even assists the body in the destruction of toxins. Iodine is one of the natural remedies that can help boost thyroid function and eliminate the symptoms associated with this condition, including slow metabolism. But it's not the only one. There are other natural medicines such as herbs that can also positively impact under-active thyroids and help you feel more energized, happier and healthier. 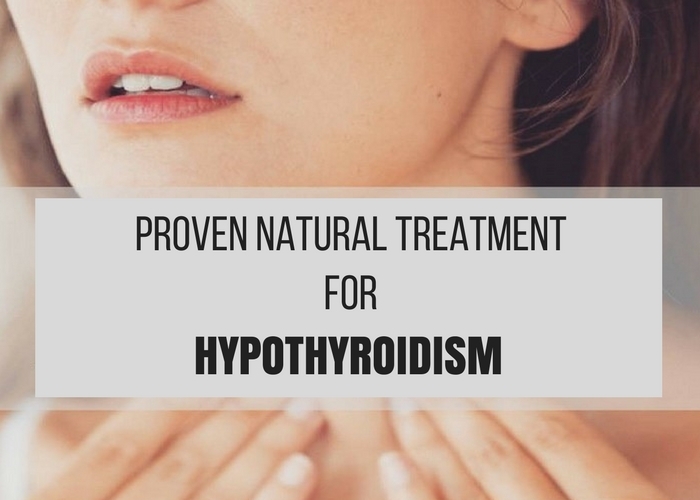 Fortunately, low thyroid function can benefit from a natural treatment reason why it's worth taking the time to learn more about your options. You may find that it is a safer way to alleviate the symptoms associated with an under-active thyroid gland than common prescription drug approaches. And even though you may be taking thyroid medication most of these natural remedies can be added to your treatment as long as you tell your doctor and he or she works with you to adjust your dose of medicine. 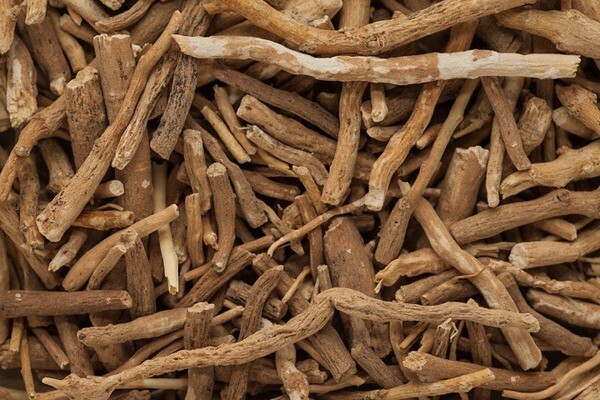 Ashwagandha root is also known as Indian ginseng or winter cherry. It is a well regarded herb in Ayurvedic medicine and has been traditionally used in cases of debility, impotence and premature aging. Recent research conducted with animals has shown that ashwagandha may stimulate thyroid function by enhancing the concentration of serum T4. Kelp is a type of seaweed that is good for thyroid function, arteries, and nails. Kelp is rich in iodine, a mineral that is necessary for the synthesis of the thyroid hormones. It is also used to stimulate metabolism which is why it is often found in some herbal slimming supplements. Black Cohosh is a very useful herb for the treatment of hypothyroid. It is best for women to use especially when they are having menstrual problems because of the thyroid disease. It can also treat infertility in women. Cayenne - if a person takes good amounts of cayenne, the blood circulation will improve. This will be a proper herb to cure the low blood count in hypothyroid patients. Bladderwrack - this is among those herbs to treat hypothyroid that is very rich in iodine. When a person is developing early signs of hypothyroidism, this herb can help cease it before it becomes worse. Guggul and Irish moss - these mosses are herbs that help cure hypothyroid. They are proven to promote the healing process of the gland as well as the secretion of the hormones. Stress anxiety symptoms can include everything from simple headaches and nervousness to migraines, hives, and even panic attacks. It's not a fun way to live. On top of all that, continuing to live with those stress anxiety symptoms for long periods of time can wreak havoc on your body. Research has shown that living with stress for long periods of time can cause hypertension, heart attacks, kidney failure, arthritis, allergies, and even eczema. It is time to take back control away from stress and anxiety. The more you take charge to reduce and eventually eliminate anxiety, the more you will begin to regain your confidence and your power to restore yourself naturally. Of the remedies listed below, the first two begin with the power of the mind because that is the center of thinking that produced those feelings of stress in the first place. These are 7 natural remedies that can help without all the side effects of prescription drugs. This comes first on the list because it's an easy and natural way of calming stressed out nerves and it can be done in as little as a minute. Deep breathing, even for just a minute or two, has calmed the nerves of many people from speakers who are about to go out on stage to Moms and Dads who are trying to keep calm when dealing with the kids. The method is to simply move your focus from whatever it is that is causing anxiety to focus directly on your breathing. This is how you do it: Breathe in deeply until your lungs fill and your tummy pushes out, hold for a second and then breathe out slowly through your nose. This puts oxygen back into your cells which helps to fight anxiety. You'll also find that when you shift your focus away from how you feel to doing a simple thing like breathing your body begins to naturally relax. This is next on the list because it is also simple to do, though it takes a few more minutes. The problem with stress and anxiety is that is produces the fight or flight response that built deep down in our subconscious. When we feel fear we want to run and our body gears up for it. Meditation forces you to slow your system down. Meditation begins breathing but also gives you space and time to just to be you without interference. Many people feel that this is when their spirit has the freedom to rise above all worry and give perspective as though they are looking down from the outside. Begin by focusing on your breath just as described in the deep breathing exercise above. As you breathe eventually you may find your mind wandering. This is the time to become the observer. You don't have to take action, you don't have to do anything... just observe. If you begin to feel anxiety at all immediately return to your breathing. Dr. Wayne Dyer suggests that humming or chanting simple sounds like "Ommmm" of "Ahhhh' can keep your mind focused. If this makes it easier for you, do it. Another method is to imagine your body as visualize a rainbow that is slowly washing over you. Start with your head and let the colors slowly move down the body, stopping to check in at each point of color such as the top of your head, throat, heart, tummy, abdomen, and so forth. As you check in at each point observe how you feel when your focus lands on that point. This is good mental relaxation and by taking time for you, you will be taking back control. Do this for 15 to 30 minutes at a time. You'll find that sometimes your mind wanders but you can always bring it back by refocusing on the breathing. This natural ingredient has been used for centuries as both a stress relaxer and an aid for sleep. Lemon Balm, which is also known as Melissa officinalis, was named after the honey bee and is known for its properties that relax and sooth the nerves. When combined with Valerian, it can work better than most prescription sleeping pills. Studies have shown that when participants were either given 600 mg of lemon balm or a placebo, those who received lemon balm were far more calm and alert than the placebo group. Please note, however, that lemon balm can also agitate your nerves if taken in large doses so remember to start slow. Start with the smallest dose which can be sold in capsules or tinctures. You can also find it in tea and it is often combined with other herbs like chamomile. Chamomile has special properties that work to calm you down as it binds to the same brain receptors as chemical drugs, without the side effects. You can get it in a supplement form but it's certainly not as delicious as enjoying a cup of chamomile tea with a teaspoon or two of honey. Honey acts to boost immunities which may have been compromised during long periods of stress. Simply steep the chamomile tea for about 1-2 minutes in a cup of hot water, remove the teabag and add the honey. This remedy is good for you and yummy too. Plus, it's easy to transport a teabag so you can take a few with you for work or other times you feel stressed. Amazingly for a few people, exercise is not the answer to reducing stress. They are so dedicated to exercising every day, even several times a day, that you would think that they would be the least stressed of all. After all, isn't exercise the antidote for stress? Perfectionism and OCD lead to stress. Those who overdo anything are those who are likely to be the most stressed of all. Consider the phrase "moderation in everything" and you'll understand why those who are moderate in their approach to life are those who are more likely to enjoy life. They don't worry about whether it's too little or too much. They do everything in moderation. People who are calm and anxiety free are people who don't overdo anything. That is why you might want to consider short bursts of exercise to be the right way for you to reduce stress and anxiety symptoms. Scientific studies have been done on exercise that indicate that mixing short bursts of fast paced exercise with slower, more moderate exercise can actually be healthier and do more good for revving up metabolism and clearing the mind at the same time. Here's some ways to get 30 minutes of exercise in your day that is moderate, calming and, as some say, it hardly feels like work! 3 Minutes of Fast Paced Exercise First Thing in the Morning. Do this before anything else. There are 2 reasons to do this. For one, you get your heart pumping. Secondly, you'll start your day energized and you can do 3 minutes of anything! Here's how to do it:Start while laying in the bed by doing 20 sit-ups in a row. Jump up and do 20 jumping jacks. Next, try 20 lunges alternating the leg that you start with every 10 times. Then, do 20 side lunges. Your 3 minutes will be up before you know it and you will start your day feeling more alive. Take 2 fifteen minute breaks during the work day. Spend just half of that break walking up stairs or walking briskly around the block. The other half can be spent relaxing and breathing! This is just 7.5 minutes of exercise but it can relieve anxiety and stress in more ways than one. Walk for 15 minutes after work. When you get home, change clothes and take just a 15 minute walk to downshift from your day. No phones allowed! Anybody can do 15 minutes and so can you. While you're at it, alternate every few minutes of regular walking with speed walking for about 30 seconds. The Germans have got natural remedies down to a science and so we look to them for help in recovery and prevention of anxiety. It has been approved in Germany for nervous anxiety and some studies find that it is just as effective as prescription drugs. However, this natural remedy may cause you to become drowsy. The time to take it is when you are home and supposed to relax but find it difficult to do. Do not take it if you have to drive. And, as with all natural remedies, do not take prescription medications at the same time that are designed to relieve anxiety also. The best way to use natural remedies of any sort is to tell your doctor if you are taking prescription medication for anxiety. Simply tell the doctor that you would like to try natural remedies instead of prescription and ask for the best way to change from one to the other. For some prescriptions you can stop immediately. For others, you may need gradual withdrawal so it's best to get medical advice. Food can be your friend when fighting stress. Blood sugar dips can turn even the calmest person into a raving maniac so fight it with food but not in the same old way. Many of us turn to 'comfort food' in times of stress. The problem is that much of the comfort food we turn to actually causes stress. Food with a load of sugar can stimulate you temporarily and make you feel better in the short term. The problem is that sugar wears off quickly and leaves your body yearning for more. To calm yourself naturally, get off the sugar and onto a comfort food that won't do your system more damage than good. The best meals and snacks include at least two types of foods because the chemistry works better for the body. Make one of the foods a complex carbohydrate such as oatmeal, whole wheat crackers, brown rice, or even small baked potato but only with the skin. There is scientific evidence that potatoes are not bad for you unless you eliminate the skin. The skin provides the nutrients that turn the potato into a wonder worker for eliminating sugar. You can read more about it in Potatoes Not Prozac by Kathleen DesMaisons, Ph.D. The other food to go with the complex carbohydrates can be nuts, seeds, salads or other vegetables. In this case, stay off the fruit to keep the sugar down. The smell of lavender (Lavandula hybrida) does wonders to reduce tension and anxiety. MedicinePlus which is a service of the National Institute of Health lists lavender as an herb that "is used for restlessness, insomnia, nervousness, and depression. It is also used for a variety of digestive complaints including meteorism (abdominal swelling from gas in the intestinal or peritoneal cavity), loss of appetite, vomiting, nausea, intestinal gas (flatulence), and upset stomach." And if that isn't enough, they added "Some people use lavender for painful conditions including migraine headaches, toothaches, sprains, nerve pain, sores, and joint pain. It is also used for acne and cancer, and to promote menstruation." Wow! That is a lot of benefit for an herb that smells so good. In one study done in Germany a lavender pill that was specifically formulated for the study showed that it significantly reduced anxiety symptoms in people with Generalized Anxiety Disorder (GAD). Try inhaling lavender essence, using lavender soaps and lotions or even linen sprays. The point of trying natural remedies is to help you reduce or even eliminate anxiety without having to worry about the nasty side effects that may come with prescription medicines. Many prescriptions of what were considered "safe" drugs have been pulled off the market. Many more that are on the market are those that also affect liver, heart, kidneys and can reduce health over the long term. Yet, sometimes they are necessary. For example, if you are severely depressed don't wait, RUN to the doctor who can help you at least temporarily alleviate the pain. On the other side, anxiety is becoming a way of life for many people who wake up every day with it and that is when it's time to stamp it out once and for all. In Europe and Asia, natural remedies are prescribed by healers at least as often as chemically made remedies, if not more. Use these 7 natural remedies for stress anxiety symptoms on a regular basis and you'll find that you are back to your old self before you know it! Relax, rejuvenate and learn to live your best life. You are worth it!